These Paint On Pads are glued at the top so pages can be removed easily. The bright white paper surface is relatively smooth, allowing for use with finer detained pens, whilst textured enough for pastels and graphite to adhere to successfully. 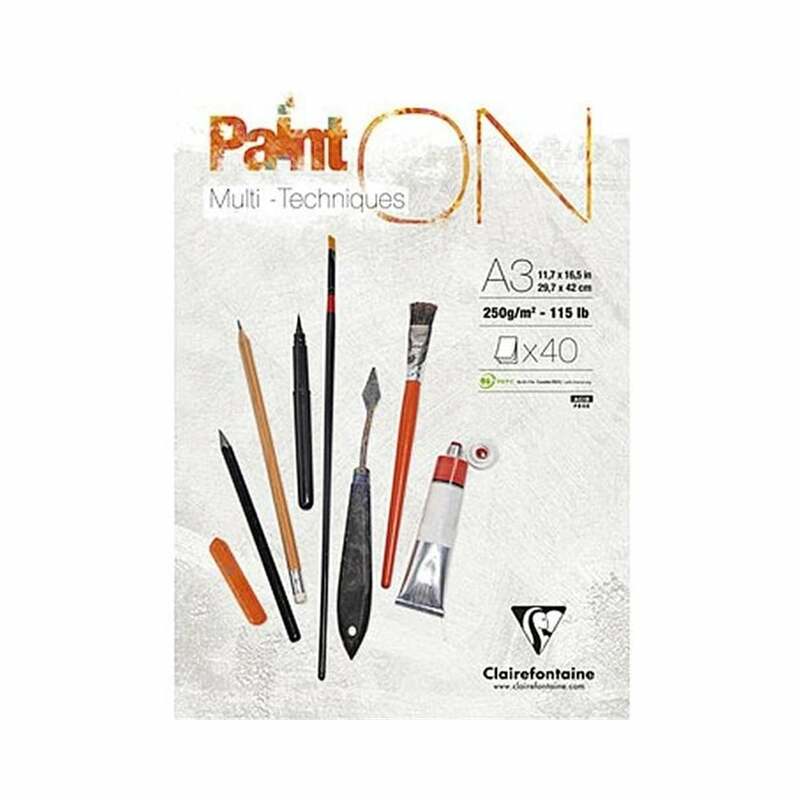 Clairefontaine Paint On Pads are ideal for artists that use a range of mixed media and for those that are just starting to experiment with different art techniques. Showing 3 Claire Fontaine Paint On Multi Techniques White Paper Pad 250gsm Sizes listed reviews. Average rating of Excellent. Would you like to write a review? This is really lovely paper. Not to toothy but just enough. It doesn't actually say on the pad about using Watercolour but, having said that I have used Water Soluble pencils with just a very small amount of water on the brush and had no problems at all. It is overall, very , very nice paper. Also, excellent price with 40 sheets. You cannot go wrong. Decent quality and great value as can be used for a number of different techniques.